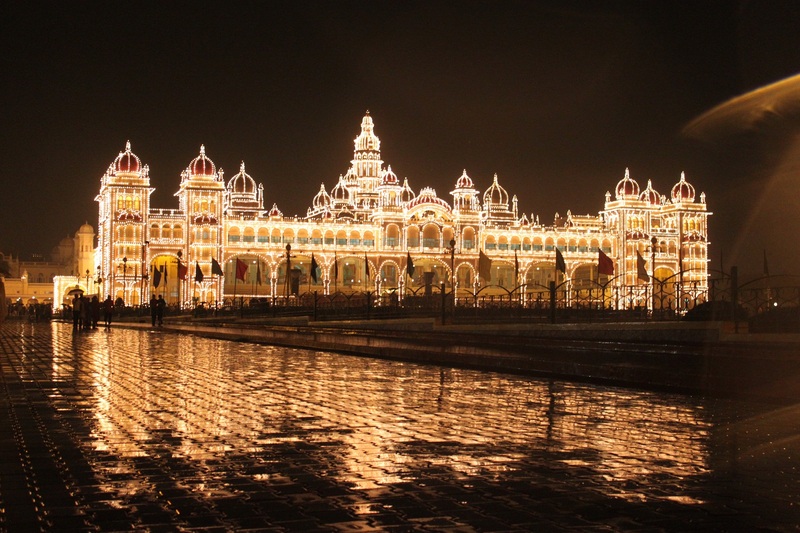 Mysore is one of the most beautiful cities in South India. In government ratings, it is consistently among the top three cleanest cities in India. Historically too, it is important place. It was here in Mysore that Tipu Sultan, one of the last Sultans was killed fighting the British invaders. All this information is available on the net. I want to share with your something that is not that easy to find out unless you visit Mysore yourself. I spent two wonderful years in Mysore and would like to share with you some important and interesting information from personal experience. The nearest international airport is Bangalore. 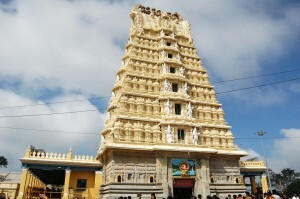 Mysore is about 160 km from Bangalore and taxi is the best way to reach. The next best option is a comfortable bus service. Road distance between Bangalore and Mysore is not much but there are many small cities on the way and the average travel time is 3 to 4 hours. Mysore has an airport also but flights are often delayed or cancelled. 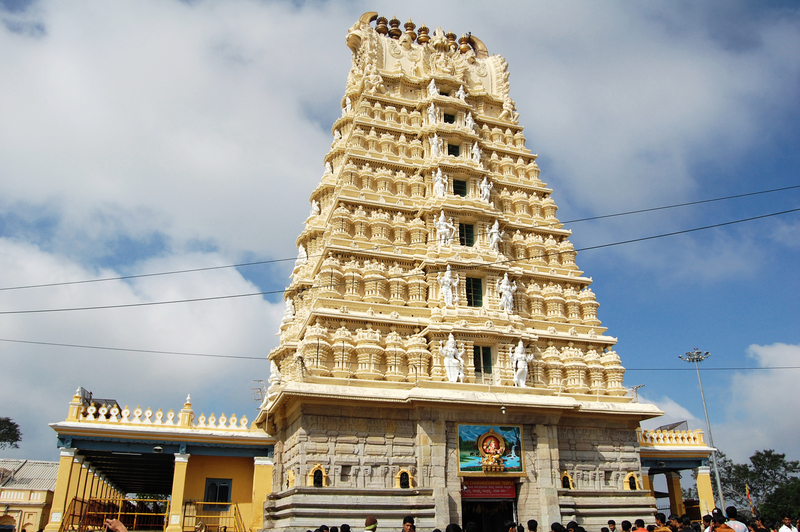 The most reliable way reaching Mysore is airport taxi. It will depend upon your purpose of visit. If you are here for yoga, then undoubtedly the best place to stay is Gokulam or nearby. Some of the best yoga schools in Mysore are located here. It is a quiet and not very densely populated area. You can live peacefully and enjoy your yoga practice. When you come to India you will start valuing silence more than anything else. Gokulam is one of the most quiet places to live in Mysore. Here you can enjoy the peace and tranquility. There are few hotels in Gokulam but for a longer stay service apartments are better. There are many yoga shops, vegetarian and European cafes. 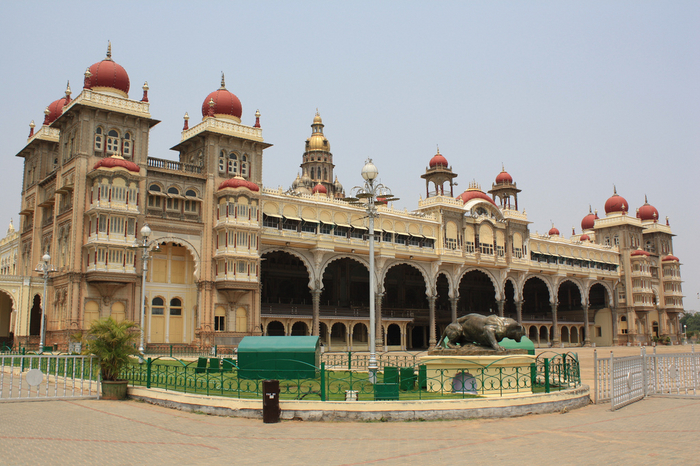 If you come to Mysore as a tourist, you can stay in the city center too. But it would be a bit noisy and crowded. There are many hotels in different categories. Everyone will find something to suit his requirements. There are many tourist attractions in Mysore. They are located not only in the city but also in its vicinity. I will highlight only the most important places that you must visit. I won’t go into details (else this post will be endless :)) If you want more details please visit masthmysore.com or google it. The best time to see the Palace from inside is the daytime. While entering the Palace one must remove the shoes and deposit with the guards. If you are not comfortable to walk barefoot, I suggest bringing an extra pair of socks. I would rather suggest that you always carry extra socks because you will be asked to hand over your shoes very often. Come to the Palace again in the evening to see it from outside, when it is illuminated. Usually the lights are switched on around 7 pm (for details see masthmysore.com). 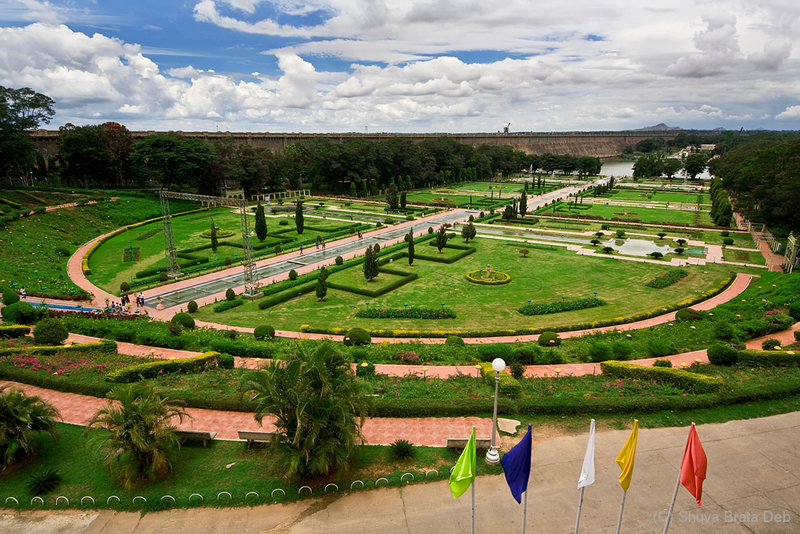 Another beautiful view on the Palace opens from Chamundi Hills observation deck. It is also a nice place to visit in the evening. 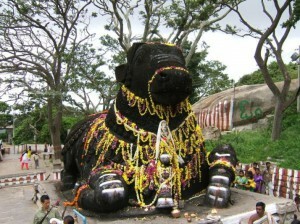 There are two main tourist attractions here, Chamundeshwari temple and Nandi. The zoo is huge (about 160 acres) and there has more than 1300 species of animals. 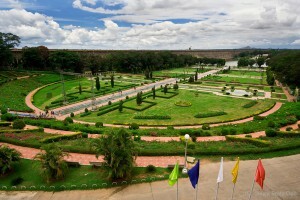 Brindavan Gardens is a beautiful and a very popular place. But be carefully while deciding the time of your visit. During festivals and holidays the number of visitors exceeds 25 000. In the evening you can enjoy the illumination but the crowd is a big problem, people begin to leave en masse after the show is over. It is the administrative center of Nilgiri and one of the most popular Indian mountain resorts. The city is situated at an altitude of 2240 meters. There are a lot of interesting places to visit in Ooty, so go there with an overnight stay. There are many places to do shopping in Mysore. The most popular is Devaraj URS road. You can find almost everything: traditional and western clothes, souvenirs, jewelry, yoga items, sweets and many other things. Mysore is world famous for its silk. There are few decent shops on Krishna Rajendra circle, where you can get amazing silk scarves and pure Kashmir shawls. There are several good shopping malls in Mysore: Mall of Mysore, Garuda Mall and BM Habitat Mall. If you stay in Gokulam or somewhere nearby, then you are most comfortable to shop in Loyal World (located in Temple Road, VV Mohalla) and Easy Day (located in BM Habitat Mall). Mysore is also world famous for its masala dosa and indeed it is the best thing I have ever had. During my two years stay in Mysore I tried masala dosa almost everywhere, but the best I like is in Green Leaf. I would even say that it is my favourite vegetarian restaurant in Mysore. It’s located on Kalidasa Road (KD road). Another place that can compete with Green Leaf is Ramya Mahendra Restaurant, but the latter is rather hard to find. If you find it, try their masala dosa and thayir vadai. If you are craving delicious ice cream, go to Corner House. Mysore is famous for its special sweets. The best is Mysore Pak and Mysore Peda. Both can be found in small milk shops, with a huge word NANDINI (written in blue) on it. While you are in Mysore, enjoy tender coconut juice (sold on the streets), fresh fruits (you may also buy them from the street) and cane juice. I believe each person has his own mini set of drugs that can help him in a particular case. I strongly recommend bringing it with you. If it did not help do not hesitate, go to a hospital. There are many good hospitals in Mysore. I recommend Columbia Asia Hospital. 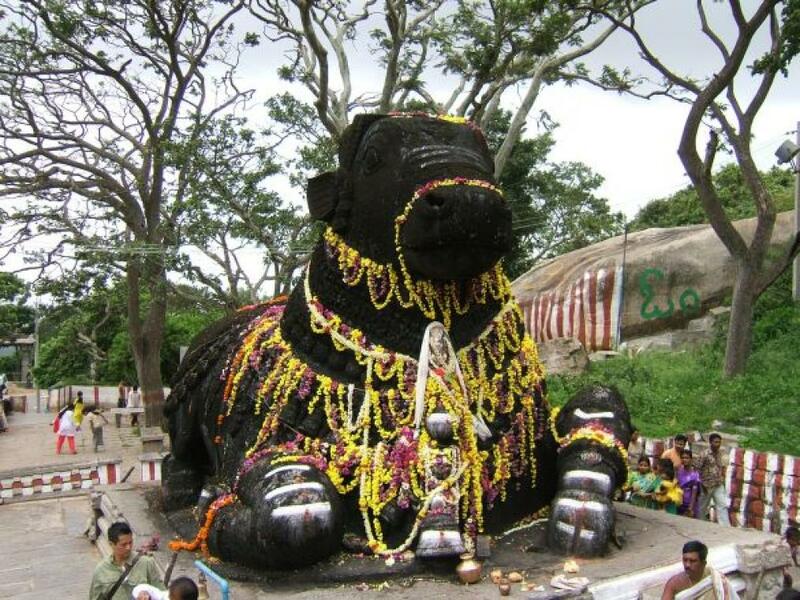 It is located at a distance of about 10 km far from Gokulam. You can be sure of the world class service this hospital offers. All of the above in no way is an advertisement of various places and attractions. It is only my personal experience and I hope that this information will be helpful. If you have any questions you can always contact me, I’ll be happy to help.